It is not easy to run a hotel successfully. There’s a lot that you need to do in order to give the visitors, guests, and your employees the peace of mind they deserve. While you are required to indulge in endless hotel maintenance and other administrative tasks on a daily basis, you cannot afford to ignore the protection of people within the premises – you need to make security a top priority. Why? Because the guests that stay at your hotel come with the expectation that they, along with their valuable possessions, will be completely safe during the stay. Proper security and safety measures lessen the risk of any kind of theft or criminal activity within and outside the premises. Keep in mind that a single criminal activity or an act of violence can ruin the reputation of your hotel. If you are unsure about how to combat security threats on your own, here are the top three tips for hotel security that will help you provide a safe and secure environment not only to your guests but also to your employees. Prioritizing security can save you from encountering troublesome situations in the short and long run. To give protection to your guests and employees, it is essential that you hire highly trained and professional security guards. 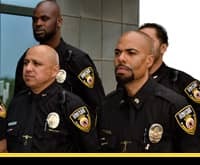 It would be their duty to keep a strict check on anyone entering or leaving the premises, keep on the lookout for any signs of suspicious activity, and always be available for any kind of assistance. On top of this, you can give security tips or show security videos to your employees so that they know what they have to do in an unexpected situation. Security service providers are professionals in their field and when you hire them, they first focus on making an emergency plan to combat any security threat you may face in the future. But your job doesn’t end when you hire the security team and hand over the reins of security. You need to know what they are up to and what kind of security measures they are taking so that you are both on the same page. Make sure that the team is properly implementing the enforced emergency plans and the management of the hotel is facilitating all their actions. Moreover, you need to keep up with the emergency plans that are updated by the security guards on a regular basis. Make sure that your hotel has advanced surveillance equipment for the maximum protection of your guests and employees. However, installing the equipment is not enough – you need to hire security guards who are fully trained in operating it and getting the maximum benefit out of its use. Together, the two elements can ensure the safety of everyone within the premises by constantly monitoring the activities in every nook and cranny of the place. Moreover, the guards can alert all the security staff of the hotel if they see any suspicious activity taking place and take action accordingly. With advanced surveillance equipment, not only can any criminal activity be spotted instantly, it can also be stopped. It is important to effectively and efficiently deal with criminal situations if you want to protect the reputation of your hotel. In order to meet the security needs of your hotel, make sure that you keep these tips in mind and hire professional hotel security to get the job done immaculately.